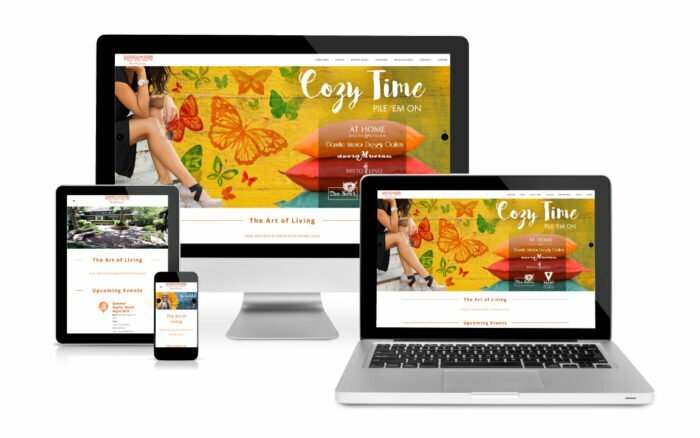 The Danville Livery features an upscale center known for its quaint town and country setting, luxury and eclectic boutiques, salons and eateries, attracting shoppers from the greater East Bay. Experience the shops and you’ll agree The Danville Livery & Mercantile is like no other, and it is as warm and welcoming as it looks. 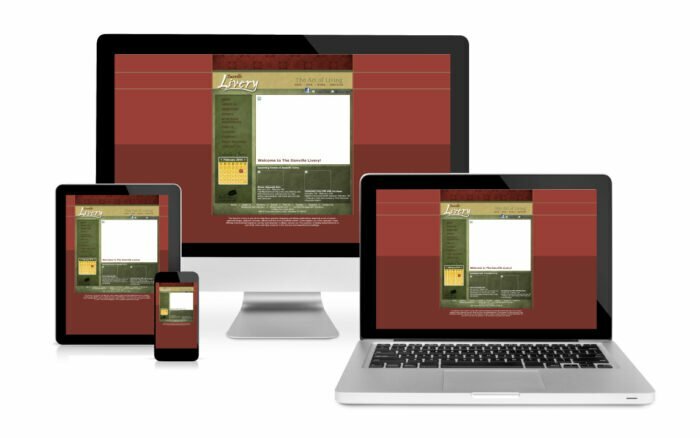 – The content was written with a simple, bold vision incorporating a NEW branding campaign so that visitors could identify clearly what the Danville Livery has to offer. Hacienda Crossings is a premier power center in Dublin, CA, at the Heart of the East Bay. The center features Big Box users, hotel, gasoline, dining options & a multiplex theater with an IMAX screen making it an entertainment experience. The creative team was tasked to turn around an aging food court, labeled Entertainment Village, featuring tired food concepts and failing merchants. The once popular center had lost its luster with new competition across the street. The goal was to provide a digital update enhancing the merchants in the Entertainment Village, to remind customers to dine & enjoy the experience, and to appreciate the tenant mix consisting. Step One: Produce a drone video highlighting the Entertainment Village and showcasing the Village with a graphic fly over and quick edits to make it look hip and fun. Step Two: Organize online contests, coupons, & giveaways to entice the community to play along and remember what the Entertainment Village has to offer. The team focused on the restaurants and created #HaciendaFoodie to rehabilitate the main struggling category. CMA also created a photo shoot, highlighting all the food options in the Entertainment Village. The shoot included staged photos of the menu items from the various dining establishments. 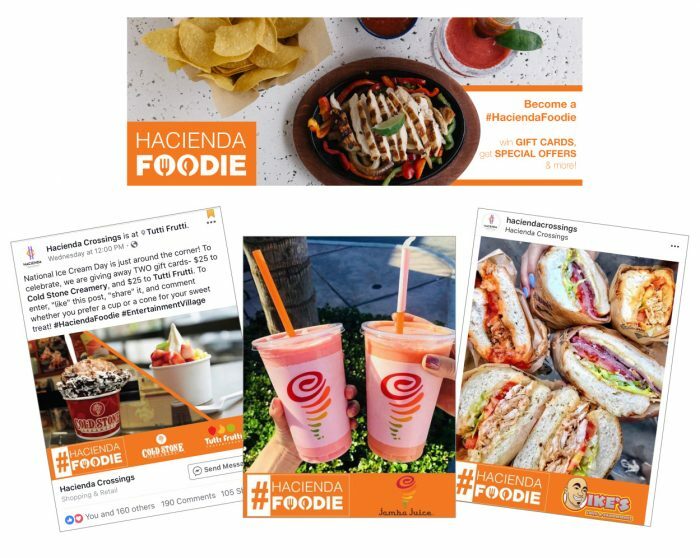 Step Three: Brand the posts with #HaciendaFoodie that promoted daily on all social media platforms with prize giveaways like Mama’s and Mochas, Power Hour Lunches, Happy Hour, Pizza Parties, Movie & Dinner. Strategic posts at lunchtime highlighted #HaciendaFoodie daily to engage our audience to order food for lunch on DoorDash or come down and eat at the Entertainment Village, all using the consistent creative branding concept. The program is still running strong and the overall results are very positive with engagement on the social media channels increasing over 35%. The campaign was well received by the merchants and they have continued to appreciate the landlord taking initiative and putting our agency in position to work one-on-one to provide a way to get their food in front of thousands of customers.